In this episode of One-Time Pod, we take a humorous approach to telling the story Sir George Scovell, who is most famous for his role in breaking The Army of Portugal Code and the Great Paris Cipher. He actually joins us a special guest in this episode. 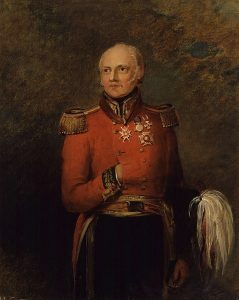 Obviously, it is not the real Sir George but a fictional representation of him. Our team tried to portray Sir George as someone came across as somewhat boastful of his achievements. While this may not have been true in reality, we felt that this would add to the humor of the episode and also, it would show how proud he was that he, an outsider to the elite upper classes, could work his way up the rankings of the army. Furthermore, we believe that the way his negative attitude towards the French highlights a common thought that the rest of Europe usually holds about the French too. In addition to George Scovell, we used an omniscient narrator, who through her outbursts, not only breaks up the monotony of Sir George Scovell’s rambling but also adds to the humor of the episode. We decided to use a minimal amount of sound effects in this episode (by minimal, we mean one. Did you spot it?) but instead, we chose to use a variation of voices to keep you entertained. We hope you enjoy this episode of Cryptocast. If you would like more information on Sir George Scovell and cryptography during the Napoleonic Wars, please see the list of sources used for this episode below. Urban, Mark. The Man Who Broke Napoleon's Codes HarperCollins. Kindle Edition. This show was written and produced by Safwaan Khan.